November 30, marked the end of an extremely destructive, 2017 hurricane season. While totals are still being calculated, estimates currently put damages at $200 billion. The Federal Emergency Management Agency (FEMA) reported to The Orlando Sentinel that 432,286 renters applied for aid in Florida during October. FEMA does not pay what is covered by insurance, however they try to help the uninsured and underinsured. Keep in mind, they do not cover all damages. “Renters are less likely than homeowners to insure their belongings,” says Ellsworth Buck, Vice President of GreatFlorida Insurance, Florida’s largest independent renters insurance company. Most landlords in Florida, do not require renters to carry insurance. The Insurance Information Institute found only 41 percent of renters said they had renters insurance. “There is a misconception that the landlord is accountable for personal liability issues, but a landlord’s insurance often covers just the structure, not personal property or personal liability,” says Buck with GreatFlorida Insurance, Florida’s top independent renters insurance company. Renters insurance offers protection for personal belongings that could be damaged by a fire, water issue or storm. It also includes reimbursement for items stolen from home or lost, as well as incidents that are the renters responsibility. Also, renters insurance will pay out money to replace furniture, clothes, kitchen appliances, electronics, laptop, paddle board, jewelry and more. You do not have to own a lot to justify a renter’s policy. It could be a specific item such as a bike, engagement ring, musical instrument or collection that is the motivation for coverage. If an injury occurs in a rental property or even the rental property yard or driveway, the renter can be held responsible for the victim’s medical bills. A renters insurance policy can also provide money for temporary housing. If a rental property is damaged from fire or water, a renters policy will cover hotel expenses while repairs are made. Renters insurance offers a lot of benefits for a small amount. The average renter’s policy ranges from $15 to $30 a month, offering peace of mind for the price of lunch. Before purchasing renter’s coverage, inquire with your rental company or landlord to see what their policy will cover. Next, take inventory of your possessions and determine a level of protection that makes you feel comfortable. 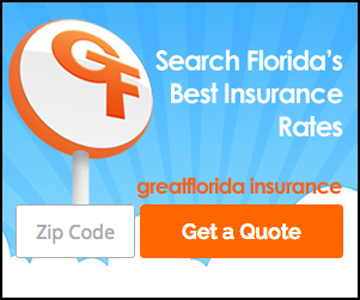 An experienced agent at GreatFlorida Insurance. They can guide you through the process to make sure you purchase enough coverage to protect your belongings without paying for overlapping and unnecessary coverage. Give us a call today.